Jacob and I met at a Willie Nelson concert at the base of Snow King Resort in Jacob’s hometown of Jackson, Wyoming. Two years later, he proposed while we were floating the Snake River in our raft. We set our wedding date for the following October 10 allowing Jacob to finish his season on the Teton Helitack crew fighting wildfires and taking advantage of my long weekend celebrating Columbus Day and Dí­a de the Raza from the Journeys School where I am an elementary school Spanish teacher. We settled on Triangle C Ranch in Dubois after exploring other options around Jackson and wanting to give our guests a unique (and affordable!) Wyoming experience. Jacob’s family has been long time friends with the owners of the ranch. As our family and friends began to descend upon Wyoming, the wintery weather descended as well. The morning of our wedding greeted us with zero degree temperatures and a foot and a half of fresh snow. Our outdoor ceremony was moved into the lodge, although we decided to still get married on the deck in glittering snow. Thanks to hard work and flexibility all of our family and friends, guests enjoyed a one-of-a-kind wedding celebration. From the cleansing sage ceremony to the anniversary dance honoring Jacob’s grandparents, the wedding day was packed with personalized touches. Children enjoyed a room of their own decked out with a horse pinata, cowboy hats and lots of arts and crafts. We dined on beef from our family ranch, butternut squash soup from aunt’s and uncle’s gardens, a mashed potato bar with all the trimmings (served in margarita glasses!) and chocolate and pumpkin desserts prepared by friends. We sipped “The Jacob”, a Jack Daniels and Dr. Pepper creation, “The Kjera”, a huckleberry margarita, local wines, Snake River Brewery’s OB1 organic beer, Mountain Meadow raspberry lemonade and Henrie homemade root beer. We danced the night away to the bluegrass tunes of Steam Powered Airplane and classics from Kjera’s ipod. Although it has been two years since that magical day, people continue to tell their personal stories of adventure, love and laughter . . . and we wouldn’t have it any other way. What made our wedding “green”? COLOR INSPIRATION: RED by Abbydell! Thanks to Abbydell Photography in Jackson for providing our color inspiration — RED! Red is such a bold and emotion-evoking color. It can stand alone, it can pop against neutrals such as white (or my always favorite neutral, chocolate brown), but it can also look sweet with pink, fiery with orange, powerful with blue and white, dramatic and romantic with black… Red just looks you in the face and challenges you not to feel emotion with it. So do you take the challenge? Do you take on RED and all that it can do for you? Abby says YES!!! And here’s her dose of RED inspiration for us…thanks Abby! Thanks to Abbydell Photography in Jackson for this fun look at RED! Have a bit of RED inspiration that you’d like to share? We’d love to see it! OR, if another hue is your favorite, send us some pics — we love to be inspired! Send images to editor@wyolifestyle.com (remember those all-important credits!) or post on our Facebook page — we’d love to share how YOU dream in color! Thanks to Randee for sending in her wedding story! Randee & Zach’s beautiful wedding was held August 13th at Diamond Cross Ranch in Jackson. Artistic Imaging provided the photography, Layers of Lovely provided the floral arrangements (check out the really neat ring bearer & flower girl ideas! )…and the amazing Jackson Cake Company made their gorgeous cake. What a beautiful day — thanks to Randee & Zach for sharing! Here’s what Ashley had to say about Katie & Brian’s Big Day…and be sure to check out these amazing images! With the bride from Cheyenne and the groom from Helena, Katie really wanted to have a beautiful wedding in her home state and the couple chose Jackson Hole as their destination! On August 6th, Katie and Brian said their own vows in an intimate wedding ceremony before the Tetons at Open Meadows Ranch in Wilson. Katie and Brian also met up with me the following day for an extended portrait session both in casual wear and wedding clothes! We had a great time shooting at my favorite spots to get a different view of the mountains, while giving the couple beautiful photos that they can treasure for a lifetime! Thanks Ashley! Be sure to click here to visit Ashley Wilkerson Photography in Jackson — thanks for sharing these amazing photos, lots of great ideas here! OUR SISTER PUBLICATIONS — READ THE CURRENT ISSUE! Visit our Youtube channel and check out our latest videos! Thanks to Jennifer & JD and Carl of Alpen Glow Images in Jackson for providing a new wedding spotlight! Since I was on the road much of last week, I will have an extra wedding spotlight up for this week. I’m going to let Jennifer & JD tell the story of their 9-10-11 wedding (love that! ), but I adore that they were looking for an old barn that had ‘stories to tell’…what a beautiful way to start a marriage and their own future full of stories to tell…OK, and seriously — check out Jennifer’s veil. GORGEOUS. WOW!!! ‘Til Next Time…if you have a story to share — wedding or engagement — shoot us a line at brides@wyomingweddingsonline.com! INSPIRATION: What Do You LOVE? You know, sometimes it’s just fun to post some cool pictures that have caught our eye over here at Wyoming Weddings…I started off thinking of a theme of pictures, or some sort of unifying thread that connects all of these, and then I thought…ah, heck with it…these are just things that we LOVE. Of course, what WE love may not be what YOU love — and that’s where we want to hear from YOU! Do you have something you adore? We’d love to see it! With that in mind, we’re launching a new weekly series, called I LOVE _____. Post on our Facebook wall, or leave us a Tweet (@wyoweddings), and say “I LOVE…” then fill in the blank, and if you have a photo to stick along with it, the better! We’d love to see an example of what you love! What do YOU love? Post on our Facebook wall or send us a tweet @wyoweddings — we’d love to hear from YOU! Thanks to Laura from Dave Hansen Whitewater in Jackson for this awesome inspiration post! Are you hosting a destination wedding? Or perhaps bringing family and friends to Wyoming for your special hometown event? Be sure to plan some fun activities for them, and showcase what Wyoming is like — they’ll never be the same, that’s for sure! Laura shares one great idea…whitewater rafting! Check out this fun story — thanks Laura for sharing! For all of us at Dave Hansen River Trips here in Jackson, Wyoming, there is nothing more exciting than being able to take a wedding party down the whitewater section of the Snake River. We love to celebrate L-O-V-E, especially if it involves rapids, paddles, and PFD’s (our owners Bud and Kelly fell in love on the Snake River and got married in Jackson, for gosh sakes!). When we get to witness the dynamic of new friends and old friends meeting for the first time, parents and grandparents getting out of their comfort zone for the sake of the bride and groom-to-be, and the bride and groom letting loose before (or after) the big day, we get giddy and nostalgic for romance, ourselves. Gavin & Allison’s wedding rafting party! Look at that crowd! That being said, this past Labor Day weekend was a special one for us. We were lucky enough to take sixty guests from Gavin and Allison’s wedding down the river on Saturday morning. Not only did the entire wedding party have a ridiculously amazing time getting soaked and paddling hard through the rapids, Gavin and Allison were treated like river royalty. They sported his-and-her cowboy hats and a “Just Married” sign on the back of their 8-man raft, plus they even got to ride the bull through the largest rapid on the river right now—Big Kahuna. We feel honored to have been a part of their wedding weekend here in Jackson, and we couldn’t be happier for two amazing people who have a fun an adventurous life ahead of them! Raft on, Gavin and Allison, and congratulations to the coolest couple getting married in Jackson this summer! ‘Til Next Time…I’m gonna quote Laura and say RAFT ON!!! Check out Dave Hansen Whitewater in Jackson by following this link! Thanks to Ken Stoecklin of Beartooth Photography in Casper for sharing this week’s wedding spotlight! Ken traveled to Jackson to capture the beautiful wedding of Charlotte & Justin. They were married August 6th in front of the picturesque (and famous!) Moulton Barn on Mormon Row — check out these images, what a gorgeous natural backdrop! Their reception was held at Dornan’s in Moose, Wyoming. This was a beautiful classic wedding, with lots of great dress and ceremony photo ops — and who can go wrong when you have the majestic Tetons as your backdrop?! Ken says that family from Texas traveled to Wyoming for the ceremony, where the couple celebrated their love of both the outdoors and the mountains – Jackson easily epitomizes both! CONGRATS to Charlotte & Justin, and WOW what a gorgeous wedding — check out Charlotte’s dress! I am seriously in love with the fabric and flow…just gorgeous…and I adore the cute little guy between them in the pic from the ceremony… You two look fabulous and VERY happy — the best to you both! Thanks Ken at Beartooth Photography in Casper for sharing this happy wedding! 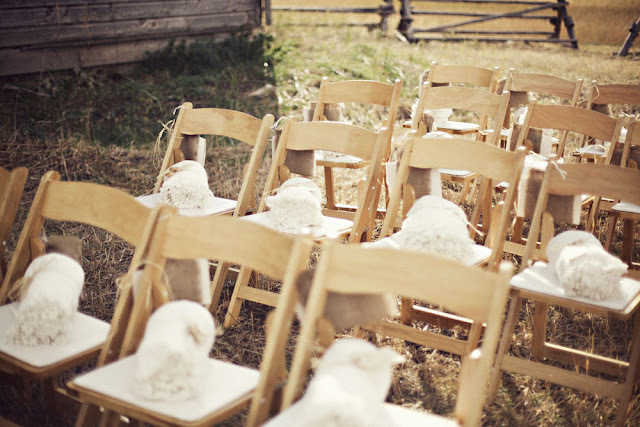 Ifyou have a Wyoming wedding spotlight you’d like to see featured on our blog (as a couple or as a photographer!) please contact us at brides@wyomingweddingsonline.com. We also feature engagement spotlights as well! WYOMING LIFESTYLE MAGAZINE: www.wyolifestyle.com — Fall 2011 issue coming out soon! Thanks to Abby of Abbydell Photography in Jackson for providing us with today’s inspiration! “Trash the Dress” has become a fun way to wrap up your wedding photos. Not looking to hang onto or pass on your dress? Brides are finding fun and creative ways to trash their dresses for some amazing photo ops. Do you have some images you can share with us? We’d love to see your ‘Trash the Dress’ experience — email brides@wyomingweddingsonline.com or post to our Facebook page! Thanks to Abbydell Photography of Jackson and thanks for sharing these cool pics! Do you have some trash the dress pics to share? We’d love to see them! CHECK OUT OUR OTHER PUBLICATIONS! Thanks to Abbydell Photography of Jackson for sharing this image with us — it inspired me to create a little inspiration piece on things to do to entertain the kiddos at a wedding! Now, this piece is going to be a bit of an ongoing project, as I’d love to get some feedback from all of YOU and add it to this blog! Post here or on our Facebook page and share your ideas! –The theme at many of the birthday parties my kiddos are attending lately is the BOUNCE HOUSE. There are many companies in Wyoming that rent bounce houses. Check with your reception facility for size, insurance liability, etc., and see what the red tape might be — but what a better way to both burn off steam AND keep them out from underneath the tables and guests’ feet?! –Balloon artists & face painters: I’ve been to many Wyoming functions where they’ve hired a balloon artist and had face painting. At our Laramie farmers’ markets, we’ve had groups doing face painting as either a fundraiser or a publicity opportunity. Do you know a group looking to make some money? Consider hiring them to do a little face painting for tips or a small fee — it’d be a great chance for them to get some exposure as well! –I love the idea of hiring someone to entertain kiddos and create a “kids’ area” during the reception. Need to make some speeches? Time to cut the cake? Coordinate with your kids’ entertainment and have story time conveniently start at that time — or a fun activity that will keep them entertained! One thing to keep in mind — starting an activity that generates great parental photo ops might not be the best idea. The parents will be torn on where to go and what to see! Also, if you want to entertain the kiddos during speeches, consider something that’s a quieter activity, or perhaps far away from the action. A fun activity that generates lots of noise may not be the most welcome distraction during speech time! –No matter what you do, be sure to keep common childhood food and other allergies in mind. Crafts that involve food items, or things like latex balloons for those with latex allergies, can be dangerous to some kiddos — as well as special snacks. If you intend to have food items or other allergen-laden items made specifically for kiddos, consider putting a note in your invitation that notifies parents and asks them to share any concerns/special requests they may have. They’ll appreciate the heads up, and you’ll be relieved to not have a small crisis on your hands at the reception! Nothing worse than being down an activity at the last minute because you weren’t aware that there was an allergy! Most parents of allergic kiddos will take the initiative to ask first, but sometimes there’s a breakdown in communication and it’s not discovered until the day of — think ahead to alleviate as many small problems as possible. –What did we miss? We’d love to hear! Post here, on our Facebook page or Twitter handle (@wyoweddings), or email us at brides@wyomingweddingsonline.com! We’d love to add your ideas and feedback to this blog post! Til Next Time…Keep up the Inspiration! www.wyolifestyle.com — Check out our current issue! www.wyovore.com — Coming soon for fall 2011 to bookstores! Thanks to Abbydell Photography of Jackson for sharing today’s wedding spotlight! These mountain top, mountain bike lovers chose to begin their married life on the same hill where the proposal took place… Not only do they love their mountain bikes, they love their sunglasses and DEFINITELY chose to incorporate their favorite things into their day. What a super cute couple! Check out Abby’s awesome photos…and thanks to Abby for sharing! ‘Til Next Time…Remember to submit your Wedding Wednesday engagement and/or wedding story to us at editor@wyolifestyle.com! 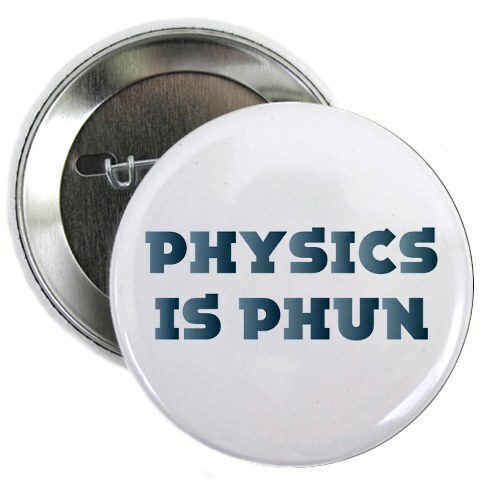 OK, so if you’re a science geek like my hubby and I, you might want this button at your wedding — but chances are you’ll want something a little more guest-oriented — but you get the idea. 🙂 Creating simple, title-only buttons can spark some great conversations…such as ‘Mom’ or even ‘MOB’ or ‘MOG’ (for Mother of the Bride/Groom), ‘Grandma’, ‘MOH” (for Maid of Honor)…for your guests, simply ‘Guest’ might turn into a funny conversation piece, or if you feel up to the challenge (or for a small wedding), come up with personalized buttons with a trait of each of your guests. ‘Party Animal,’ ‘Jokes told here’ or ‘Needs Tissues’ for someone who cries at everything…you get the idea…make it fun! For a plated meal with place cards, add the buttons to each place for instant conversation when the guests arrive at your reception! 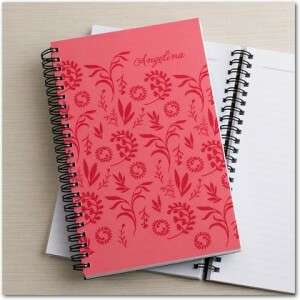 GIVE YOUR GUESTS AN ASSIGNMENT! What on earth, you say?! Give them something to do while they wait for you at the reception — and they’ll love it! I read this idea in Utterly Engaged Magazine, the couple that used this are so brilliant: wrap a few inexpensive notebooks purchased from the discount store in a cover, or buy some inexpensive journals from a bookstore. Designate a different question on each book, asking the guests to give their best wedding advice, share a special memory of you both, or answer questions such as ‘Where do you see us in 10 years?’ Place a different notebook at each table, and have your DJ encourage guests to pass them around and/or visit each table to write in them all! Instant memorabilia! OUTDOOR WEDDING? GIVE THEM SOMETHING TO WRAP UP IN! These pictures come from Molly &amp; Bo’s Teton Valley wedding, by the fabulous Katy Gray of Jackson. 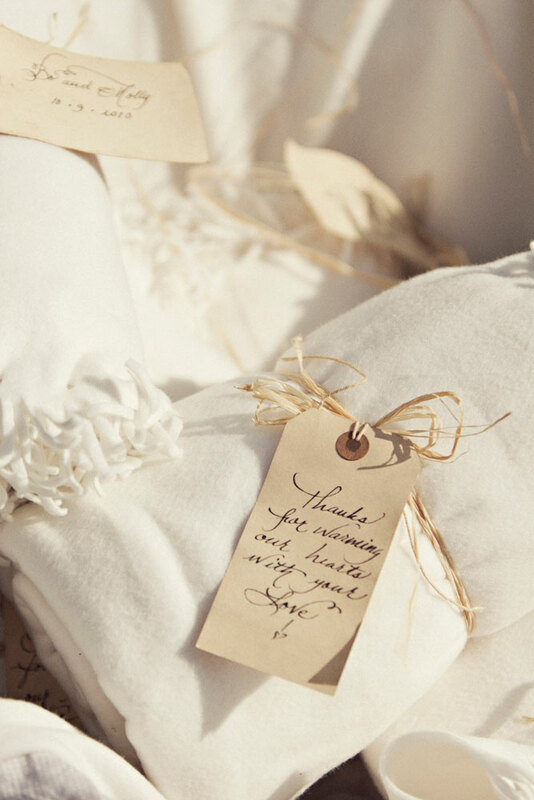 Molly and Bo had an intimate destination wedding, and provided these little warming gifts to their guests. While this certainly could get expensive quickly, be smart! Shop specials, or if someone is a crafter in your family, see if they might help you by making some gifts for you! Here is another fun idea from Molly &amp; Bo’s wedding — what a fun idea! 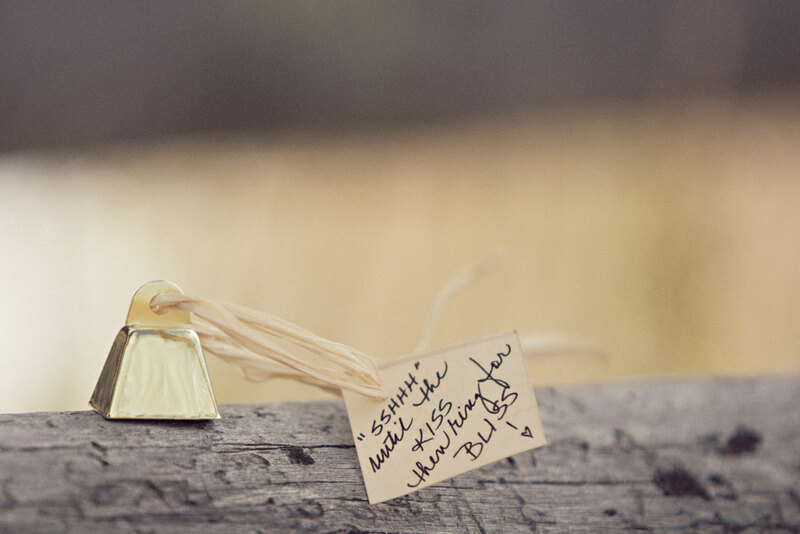 Bells to ring when you kiss — and notice another darling handwriten tag! Love this! 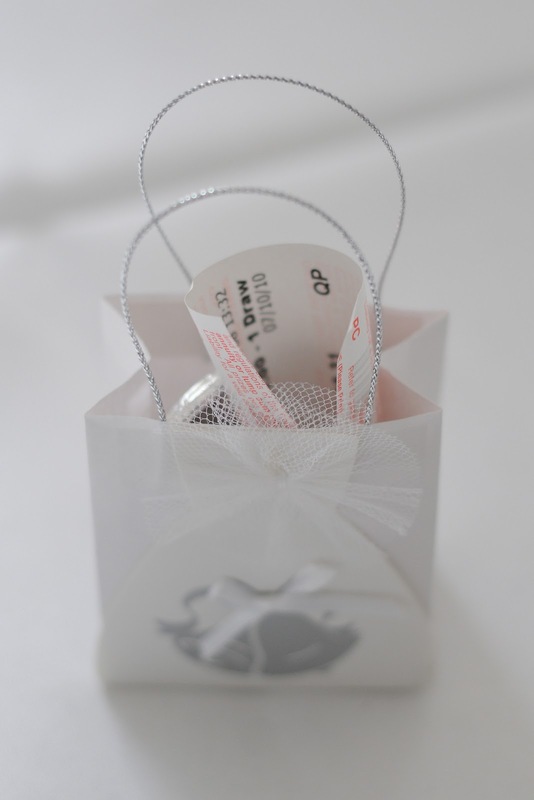 As I’ve blogged a few times, my friend Elena’s wedding this past summer included an incredibly fun, unique guest favor — lottery tickets! (And we won $37! Woo hoo!) 🙂 This is a super fun, relatively inexpensive idea! What are you planning to do for your guests? Please share on our Facebook page or comment on this blog — we’d LOVE to hear from you! ‘Til Next Time…Keep Going! You’re Doing Fantastic!